The Ad Laudem Dei award recognizes alumnae/i of distinguished achievement whose professional lives are of national significance and illustrate that service is not only an activity, but an approach to the responsibilities of work. Nominations are sought annually from alumnae/i, faculty, staff, and friends of the College. The award is presented to individuals who have made lasting contributions to the areas of economics, business, and government; medicine and science; and arts, humanities, religion, and education. Award recipients embody the spirit of charity synonymous with the College of Mount Saint Vincent’s philosophy of giving back. Dale Avella Masi, Ph.D. ’51 is the founder, president, and CEO of Masi Research Consultants (MASI). Founded in 1984, MASI assists organizations across the globe with planning, designing, and evaluating Employee Assistance Programs (EAPs) and Work/Life programs. Dr. Masi is professor emerita at the University of Maryland, where she taught for 22 years and directed the EAP Sub-Specialization program. She is also a Licensed Clinical Social Worker-Clinical and a Certified Employee Assistance Professional. A Fulbright Scholar, she holds a doctorate from the Catholic University of America. V. Andrea Parodi, Ph.D. ’72 is a pioneer in technology, nursing care, and teaching. Her 26-year career in the U.S. Navy Nurse Corps has fueled her passion for patient safety, innovation, and scholarly inquiry, allowing her to produce solutions for preserving the health and well-being of the American armed forces. 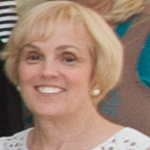 Dr. Parodi is currently a research associate professor at Old Dominion University and applies considerable knowledge and expertise in her role directing the Navy’s TeamSTEPPS. 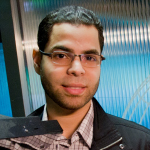 Endy Rodriguez ’03 is the vice president is the vice president of news at Telemundo 47, a division of NBC Telemundo, the leading provider of Spanish-language content in more than 100 countries. Under his leadership, Telemundo 47 has made history by sourcing the region’s highest rated late news program, regardless of language. In his position as vice president, Mr. Rodriguez ensures the integrity of his station, curating news for millions of viewers in the nation’s largest media market, while advocating for the New York Tri-State area’s Spanish-speaking community in Albany, Washington, D.C., and beyond. John F. Caruso ’82 is the senior vice president for sales at ABC. A 36-year industry veteran, he oversees the sales department’s client specialist team, which is responsible for developing marketing partnerships, executing buying and planning goals, and finalizing all sales agreements involving the ABC Television Network. 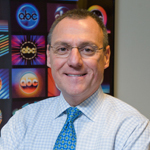 Mr. Caruso began his career at ABC as an intern with Eyewitness News. In the early 2000s, he helped spearhead an early product integration deal with AT&T’s memorable “Phone a Friend” feature on the game show Who Wants to Be a Millionaire. David Schliecker ’92 is the vice president for brand research at the Food Network/Cooking Channel, a subsidiary of Scripps Networks. In his role, he analyzes viewers’ relationship with food to determine how the network can please their palates. 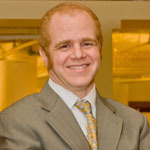 Prior to his current position, Mr. Schliecker took on roles of increased responsibility in brand research analysis at Nickelodeon and Comedy Central. Teresa Paterniani Cooper ’59 worked with countless children, immigrants, and underprivileged families in San Diego city schools, hospitals, and beyond. For 20 years, she traveled weekly to Tijuana, Mexico to clinics serving refugees, migrants, and children. She spearheaded numerous training programs on maternal outreach to teenage mothers in the San Diego region, which has changed lives and created new models of effective practice in health and social service. Beatrice Chao Lee ’54 is devoted to preserving Chinese culture. 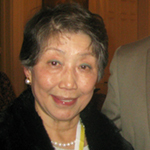 Together with her husband, she worked to provide the first available resources for the Chinese-American community throughout Boston. They founded the Greater Boston Chinese Cultural Association, the Chinese Language School, and the Chinese Family Group, the longest-running Chinese camp still in existence today. 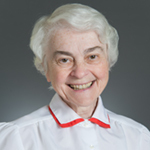 Elizabeth R. Brown, M.D. 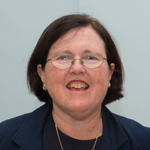 ’68 has researched and advocated for the treatment of pregnant women struggling with addiction, served as the director of neonatology and was an associate professor of pediatrics at Boston University School of Medicine from 1985 until her retirement in 2008. She has served on the boards of several notable organizations, including the College of Mount Saint Vincent’s Science Advisory Committee. 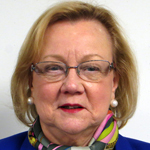 Catherine E. McDermott ’61 joined the Carnegie University Corporation of New York in 1969, focusing on human resources and health benefits of international women’s issues. She then became a member of the senior staff of the Robert Wood Johnson Foundation, working as a foundation liaison officer for the nation’s largest philanthropy foundation. Following this experience, she became the founding president and CEO of Grantmakers in Health, a nonprofit, educational organization exclusively serving health philanthropy. 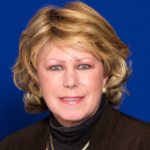 Ms. McDermott also served as president, CEO, and as a member of the Board for the National Committee for Quality Health Care from 1997 until her retirement in 2005. 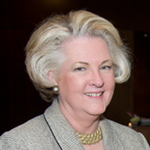 Kathleen Butler ’74 has held senior executive positions at IBM throughout her four-decade career, including vice president for global sales and technical support and vice president of client process transformation. Her leadership at IBM included the launch of “One IBM,” a unified system to provide better service for customers and business partners. 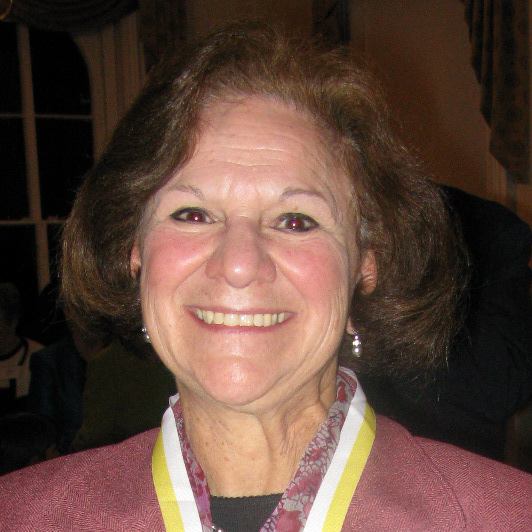 Sylvia Christakos, Ph.D. ’67 leads one of the country’s foremost laboratories in vitamin D research and has served as researcher and professor in the Department of Biochemistry and Molecular Biology at Rutgers New Jersey Medical School since 1981. Her research has proven the relationships between vitamin D and its receptor on the expression of genes responsible for calcium balance, autoimmune inflammation, bone disorders, such as osteopenia and osteoporosis, multiple sclerosis, and paralysis. Nancy Harding, Ph.D. ’69 is an inventor of genetically purified gellan gum, a food additive that has improved the quality of consumer milk and dairy products, and has helped create four other patented agents. Since 1981, she has served on the staff of CP Kelco U.S., Inc., a leader in the production of polysaccharides by microbial fermentation, extraction from land and sea plants, and modification of cellulose-based raw materials. 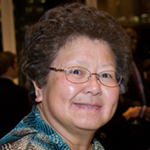 Sophia Yan Liu, Ph.D. ’69 has served as manager for regulatory affairs at ALZA Corporation, a pharmaceutical research and development firm owned by Johnson & Johnson. Her research has contributed to the development of new pesticides and consumer products, while her work has yielded multiple United States patents, including one for an agent that results in safer plastics. 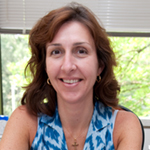 Catherine A. Mazzola, M.D. ’90 is the Director of the Division of Pediatric Neurological Surgery, as well as the founder of the Craniofacial Center, the Pediatric Brain and Spine Tumor Center, and the Spasticity and Gait Disorder Center of Goryeb Children’s Hospital of the Atlantic Health System (AHS). She is certified by the American Board of Neurological Surgeons and the American Board of Pediatric Neurological Surgery. 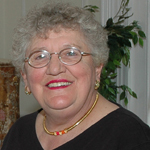 Mary Edward Zipf, S.C. ’62 is Professor Emerita of Biology at the College of Mount Saint Vincent. She earned her degree in biology with a minor in chemistry from the Mount, received a master’s degree in biological sciences from Fordham University, and a Ph.D. in microbiology from the University of Maryland. 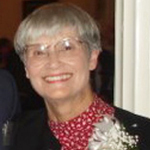 She has been an educator for more than 50 years, 41 of which she has spent at the Mount. Rosemary Fath Steel ’50 managed her family business, KA Steel Chemical Inc., as Chairman of the Board, transforming the company into the largest distributor of water purification chemicals in the Midwest. She is also a member of the Committee of 200, a collective of prominent women business owners. Mrs. Steel is also a member of the International Group of Business Women Executives and Owners. 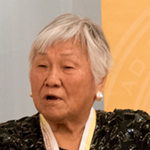 Chinyee Ho Sung ’51 is an internationally recognized artist whose works have been honored by UNICEF and by the U.S. Department of State. She established the Chinyee Art Studio in Dobbs Ferry, New York in 1988 and received Manhattan Arts Magazine‘s “Artist of the Ninety’s” title in 1989. Margaret A. Dames, Ed.D. ’65 is Archdiocesan Superintendent of Catholic Education in the Archdiocese of Newark. She is responsible for “Lighting the Way,” an initiative to build a new era for Catholic elementary education. 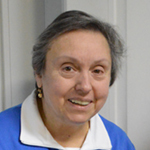 Dr. Dames previously served as Superintendent of Schools of the Diocese of Bridgeport. In this role, she revitalized the 38 schools of the Diocese, ensuring the academic and financial future of an educational program serving approximately 11,000 students Pre-K through 12. Hon. Miriam Naveira de Rodon ’56 is the first woman in Puerto Rico to be named Assistant Attorney General in Charge of Antitrust Laws. She later became Solicitor General, arguing cases to the Supreme Court of Puerto Rico. In 1985, she was named Associate Justice of the Supreme Court of Puerto Rico, a significant achievement for all women in the Commonwealth. Hon. Naveira de Rodon is the first female Chief Justice of the Supreme Court of Puerto Rico, the highest position in this branch of government. Julianne Imperato-McGinley, M.D. ’61 discovered the role of the hormone Dihydrotestosterone (DHT) in normal human growth and its contribution to prostate enlargement, hair loss, and acne in the 1970s. This discovery led to the development of Finasteride, a drug produced by Merck & Co. to remedy prostate enlargement and the first rationally-designed oral medication for hair loss. Her research in androgen physiology was the first to challenge the once widely-held view that gender identity developed through the social environment. 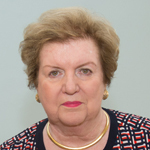 Mary Frances Barrett ’70 is former CEO of Hebrew Hospital Home of Westchester, Inc. and Chair of the College of Mount Saint Vincent’s President’s Associates. After earning a B.A. in English from the Mount and an M.A. in English from Manhattan College, she worked with the executives of a nursing home in Yonkers. She later earned an M.A. 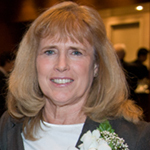 in Health Administration from Iona College, which enabled her to move up in the executive ladder. 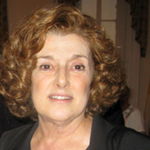 Eileen Daly Chusid ’62 is Dean and Associate Professor of Pre-Clinical Sciences, and Director of Institutional Research at New York College of Podiatric Medicine. She also has an academic appointment at Mount Sinai School of Medicine, where she earned her Ph.D. in biomedical sciences. 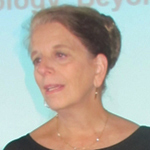 She has been deeply involved in HIV/AIDS research in both children and adults. 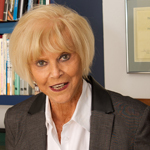 Virginia LiVolsi, M.D. ’65 is Director of the Office of Strategic Initiatives and Quality Improvement, Anatomic Pathology; Professor of Pathology and Laboratory Medicine; and Professor of Otorhinolaryngology Head and Neck Surgery at the Perelman School of Medicine at the University of Pennsylvania. 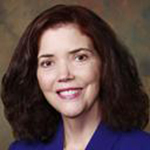 Her clinical expertise is in thyroid and gynecologic cancer, and her research focuses on tumor markers, growth factors, receptors, and oncogenes in thyroid neoplasms and their prognostic implications. 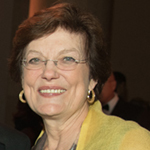 Mary C. Segers, Ph.D. ’61 is Professor and former Chair of the Department of Political Science at Rutgers, The State University of New Jersey. 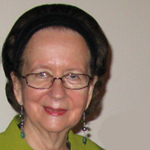 She has served as the Fulbright Senior Specialist and as Fulbright Distinguished Chair in American Studies at the University of Warsaw, Poland. She was also a Henry Luce Fellow in Theology and a Ford Foundation Fellow in Women’s Studies in Religion at the Harvard Divinity School at Harvard University. She has written several books and articles concerning religion and politics and women in politics. Gail Vance Civille ’65 is the founder and president of Sensory Spectrum Inc. and has pioneered advanced sensory evaluation and consumer product research for industry, education, and the government. Her development of flavor, texture, fragrance, Skinfeel and Fabricfeel Spectrum Descriptive methodology is the basis for analytical tools in sensory science. She has advised business leaders in numerous industries, including food and beverage, pharmaceuticals, and fabrics. She is also an accomplished author and educator in the study of sensory evaluation. Hon. Judith A. Hard ’79 has served on New York State Court of Claims since 2002. Judge Hard has held positions with the New York State Senate and Assembly, serving as a legislative analyst and counsel to the Senate Minority Leader. Formerly, she served as assistant counsel and later first deputy counsel to Governor George Pataki. Prior to her appointment to the bench, she served as executive deputy commissioner of the New York State Department of Tax and Finance. 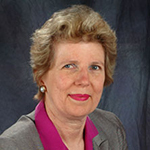 Mary Wat Trucksess, Ph.D. ’61 is a research chemist for the U.S. Food and Drug Administration (Center for Food Safety and Applied Nutrition) and an international expert on mycotoxin analysis. 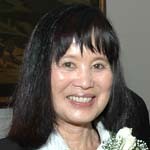 She was awarded the Harvey W. Wiley Award, the Association of Analytical Communities’ highest scientific honor, in 2004. Zenobia V. Fox, Ph.D. ’61 served as a professor at the Immaculate Conception Seminary in South Orange, New Jersey for many years, where she left a mark through her work on lay ministry, both within and beyond the traditions of the Catholic Church. Her work as a theologian examines sociological trends that define some of the challenges of contemporary faith and the challenges facing the institutional church. 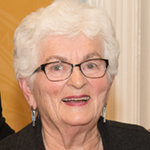 Elizabeth Jane Rock, Ph.D. ’46 is a retired professor of chemistry at Wellesley College, where she was named the first recipient of the Arthur J. and Nellie Z. Cohen Professorship. She has authored and co-authored numerous articles in chemistry, physical chemistry, and thermodynamics, and served as consultant to the Instrumentation Laboratory at M.I.T. Additionally, she was a visiting professor in the Inorganic Laboratory at Oxford University with a National Science Foundation Faculty Fellowship. Thomas P. Doyle, Esq. ’82 serves as a special agent in charge of the U.S. Food and Drug Administration Office of Internal Affairs. 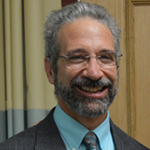 His work in the FDA’s investigation of the tobacco industry was featured in former FDA Commissioner David Kessler, M.D.’s 2001 book A Question of Intent. Matthew Arduino, Dr.P.H. ’79 is chief of Clinical and Environmental Microbiology at the Centers for Disease Control and Prevention (CDC) in Atlanta. His work includes applying microbiological sciences to infection prevention in healthcare settings. He is an expert in environmental infection control, environmental microbiology, dialysis-associated diseases, healthcare-associated infections, disinfection, sterilization, and water treatment. He has authored or co-authored 147 scientific articles, nine book chapters, three training manuals, and contributed to 20 articles published in the Morbidity and Mortality Weekly Report. 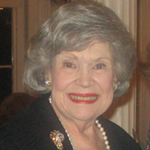 Joan E. Donovan ’48 served as senior advisor and first vice president of Merrill Lynch. She was also treasurer of and continues to serve the Navy League, an organization that fosters and maintains interest in a strong Navy, Marine Corps, Coast Guard, and Merchant Marine Corps as integral parts of national defense. Joan M. Squires ’73 is the executive vice president of the Office of Technology at Mutual of America Life Insurance Company, where she manages all of the company’s information technology systems. 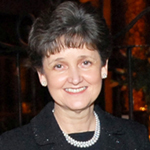 Additionally, she is active in numerous civic and humanitarian organizations, such as the Terence Cardinal Cooke Health Center, the American Cancer Society, Concern Worldwide, and the United Way. She has served on the national board of Girls, Inc., a national nonprofit supporting the development of young women.